A former regional daily deputy editor has joined forces with a music producer to launch his own brewery. 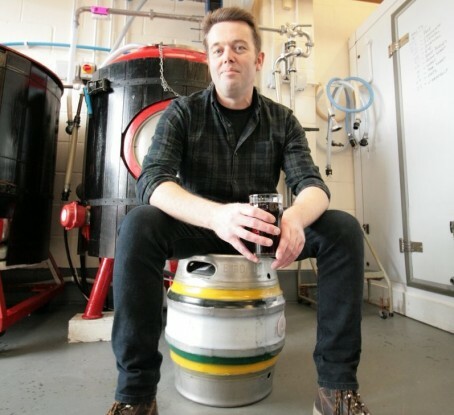 Ben Pindar, who worked at the Cambridge News and later at Northcliffe Media, has founded the Aire Heads Brewery with his friend Graig Sanderson. Based in Goole, Yorkshire, the pair have invested more than £30,000 into the new business. So far they have produced a pale, hoppy beer called Rude, Crude and Brewed and a chocolate stout with liquorice called Beyond a Shadow of a Stout for local pubs. Ben was deputy editor at the News between May 2001 and October 2002, and later spent four years as news editor for the Press Association’s community newswire. From October 2009 to March 2011, he was senior production editor at Northcliffe’s regional subbing hub – working on titles including the Hull Daily Mail, Grimsby Telegraph, Scunthorpe Telegraph and Lincolnshire Echo. After leaving Northcliffe, Ben spent three years as deputy editor of Yorkshire Business Insider before becoming director of communications with Harrogate-based Northern Lights PR. He added: “Aire Heads is aiming to push the boundaries of beer making and create something that this region can be proud of. We have big growth ambitions and are aiming to create jobs, grow our production quickly and seek out new markets around the UK and overseas. At least they will be able to drown their sorrows over the loss/closure of so many newspaper titles.